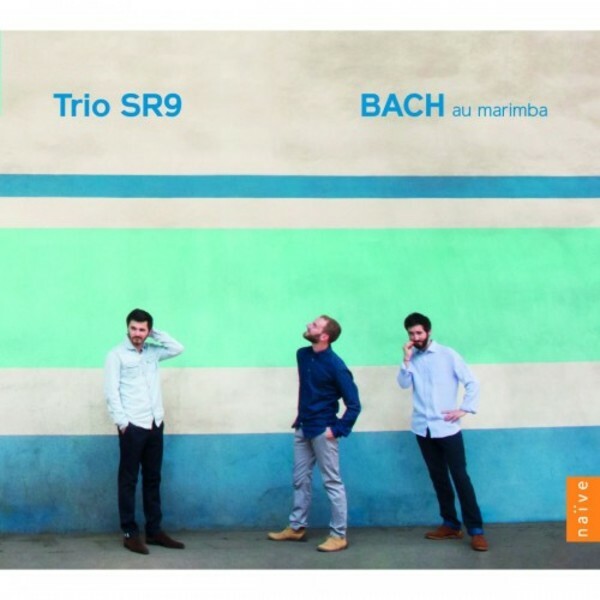 Founded in 2010 at the Conservatoire National Supérieur de Musique de Lyon, the Trio SR9 was born out of a friendship between Alexander Esperet, Nicolas Cousin and Paul Changarnier. SR9 won First Prize at the International Percussion Trio Competition in Luxembourg in 2012, as well as the Audience Award and Interpretation Award for Jean Batigne’s work, Parcours. Their concerts include repertoire ranging from JS Bach (which they have toured extensively in France) to contemporary music. The combination of Johann Sebastian Bach and the marimba may seem daring to some, and yet… Bach was very interested in the development and integration of new instruments, notably the birth of the pianoforte, which offered new means of expression. Bach also cultivated the art of transcription, adapting his own works and those of other composers to other instruments. The works in this programme are connected to each other by the Perpetual Canon from Das musikalische Opfer, which is presented in different forms. It is both a tribute to this absolute masterpiece of Bach as well as an opportunity to discover the endless harmonic possibilities made possible by the use of three marimbas.